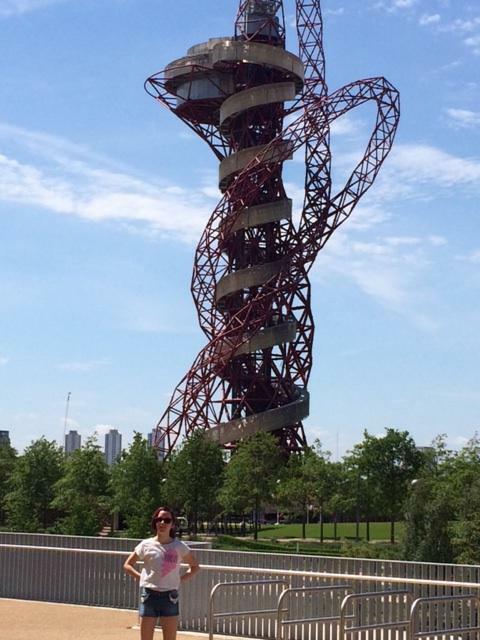 The ArcelorMittal Orbit is a 114.5 metre (376 feet) tall sculpture and observation tower in the Queen Elizabeth Olympic Park in Stratford, London. It is also the largest piece of public art in Britain. It is made of tubular steel and more than 60% of it was made from old cars, washing machines and steel building materials. The construction of the ArcelorMittal Orbit took around 18 months and used 560 meters of tubular red steel. It was created by Sir Anish Kapoor along with the designer Cecil Balmond. When I first saw the sculpture it was a lot bigger then I expected it to be. It was very intimidating because it curved around differently and was a very weird shape. It also looked like it could tip or fall over at any minute. It made me wonder what the artist was inspired by. You could definitely recognise it from a long way away because it is such a tall sculpture and it was quite a bright colour red. It is also very original, there is no other sculpture like it. I loved how the top has a big loop round and none of the parts are the same. I also like how they put a spiral staircase of 455 steps all the way around it. If you go up close to it you can see how big the tubes that are used to make it are. They were much bigger than I thought they would be. It was very strange and gave me mixed emotions, as it was so weird I couldn’t quite understand it. 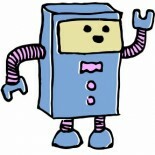 This entry was posted on 29/06/2015 by Creatabot in Creative and Art Events.